So many things can distract a driver — a cellphone, food, loud music, weather conditions or lack of sleep. Unfortunately, distracted drivers can cause accidents that lead others to suffer from serious personal injuries in Oklahoma City, Oklahoma. 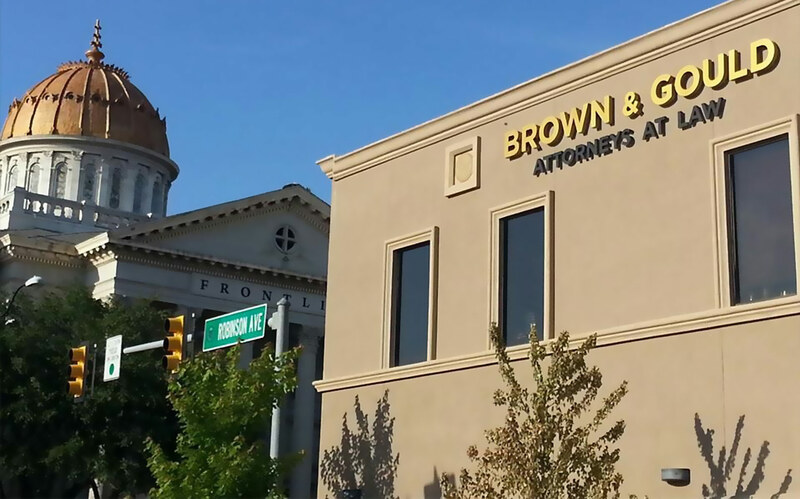 At Brown & Gould, PLLC, we provide representation to clients suffering from personal injury caused by others throughout Oklahoma and Texas. For a car accident attorney in the Oklahoma City area, call 405-235-4500 or contact us online. If you have suffered severe personal injury when another driver was at fault or lost a loved one due to wrongful death, you need an experienced attorney. It is important to contact one of our Oklahoma City car accident attorneys soon after an accident occurs. Often, a case can be strengthened by taking swift action. Truck accidents can be even more severe than car wrecks and involve more soft tissue injuries. It is important to know that claims involving truck accidents are handled in a different way. Often, trucking companies and their drivers are regulated. Truck drivers are required to take breaks to prevent driver fatigue. We closely review logbooks to identify evidence to support your case. To review medical records, we have a nurse on staff. Our lawyers know how to form a case to withstand the tough scrutiny of insurance defense lawyers. In today’s tight economy, this strategy is more important than ever because insurance companies are reluctant to fully pay claims and frequently deny them altogether. We strive to protect the rights of our clients and ensure claims are paid to cover all expenses and not rejected out of bad faith. Our lawyers seek maximum recovery for our clients. To discuss a car or truck accident, contact us. Please call 405-235-4500 or send an e-mail. We are happy to schedule off-site, evening or weekend appointments for the convenience of our clients. In order to give our clients the attention they deserve, we only handle select cases for car accident or truck accident claims.